Alan Kelly has been voted as the MLS Referee of the Year 2015 and Corey Parker has been selected as the MLS Assistant Referee of the Year. In his second season as an MLS center official, Kelly was assigned to 21 regular season matches – the second highest on the PRO roster in 2015. A native of Ireland who has refereed in the European Champions League and World Cup qualifiers, Kelly was a finalist for this award in 2014, but takes the honors this time around. Jair Marrufo and Baldomero Toledo were the two other PRO center officials nominated for the award this year. 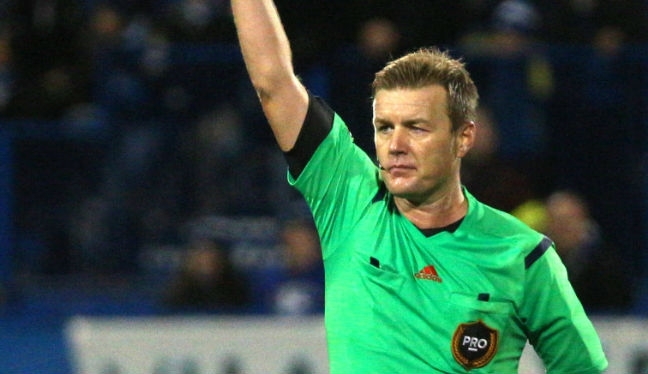 Assistant referee Parker, meanwhile, ran the line in 19 MLS regular season matches in 2015 – the second-most among PRO ARs – in what is his fifth season at the top level with the flag. As well as his league assignments, Parker made his FIFA debut in January at the 2015 CONCACAF Under-20 Championship in Jamaica. He was nominated for this award in 2012, when Ian Anderson took the honors, but 2015 is Parker’s year, ahead of the other finalists Peter Manikowski and George Gansner.